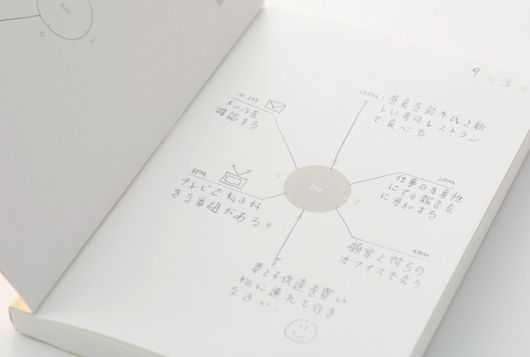 This Chronote­book from Muji is a fresh con­cept. It was designed by Wong Kok Keong (Orcade­sign, in Sin­ga­pore) and won a Judges’ Prize in Muji’s Inter­na­tion­al Design Awards #2 (May 15 to July 31, 2007). Diary sched­ules are arranged in lines and grids, which are dif­fi­cult to see and has lit­tle flex­i­bil­i­ty. 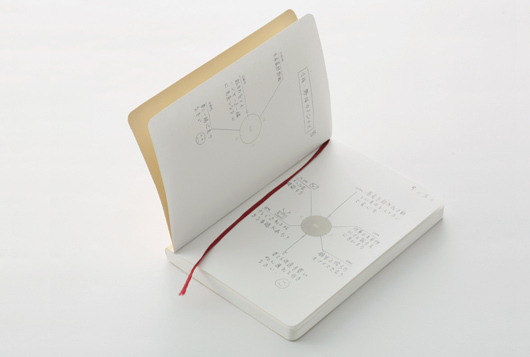 This note­book makes it clear, intu­itive and easy to plan and see your dai­ly sched­ules. 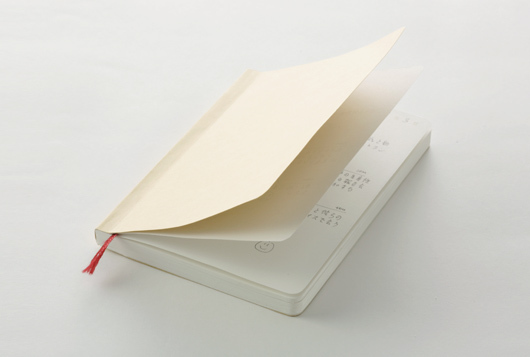 Beige, min­i­mal, with round­ed cor­ners and just small enough to fit in your pock­et, the Chronote­book has trade­mark Muji aes­thet­ic appeal. The clock, locat­ed in the cen­ter of an open page, is divid­ed in halves by the mid­line of the book—the left hand white graph­ic rep­re­sents AM, while the dark graph­ic on the right is PM. Not only does the lay­out illus­trate our cir­ca­di­an nature but it forces you to orga­nize tasks accord­ing to the time of day they need to be done. Over­all, it’s easy to look at, sim­ply com­pre­hend­ed and accom­plish­es a design feat by adding a small fea­ture (a more log­i­cal way to break up your day) that has big rewards in func­tion­al­i­ty. Any­ways, thought I’d share with those of you look­ing for a new way to orga­nize or log your day, etc. You are currently browsing the Just a Memo archives for the 'chronotebook' tag.